One of the most elegant themes that you can choose for your wedding is all-ivory. Perfect for a formal affair, this look is very elegant. Decorating your wedding with shades of ivory is a wonderful, traditional wedding design. Did you know that the original purpose of bridesmaids was to draw away evil spirits that might be attracted to the bride? To protect the bride, all of her girlfriends would dress in gowns that matched the bride's, so that if an evil spirit tried to crash the wedding, it would become confused and leave. As time went on, this original idea has gone by the wayside, and brides started to choose dresses for their attendants in colors beyond white or ivory. However, even if you are not concerned about warding off evil spirits, you still might want to consider dressing your bridesmaids in gowns that are the same color as the bridal gown. It creates a lovely unified look. If you do decide on ivory gowns for your bridesmaids, it would be nice to let them choose their own style, just to add some variety and visual interest to the wedding party. Naturally, for an all-ivory wedding, you will want your attendants to wear pearl bridesmaid jewelry. Many women will already own some basic pearls, but you may want to choose a special piece of pearl bridesmaid jewelry that you can give them as a gift to wear for your wedding. 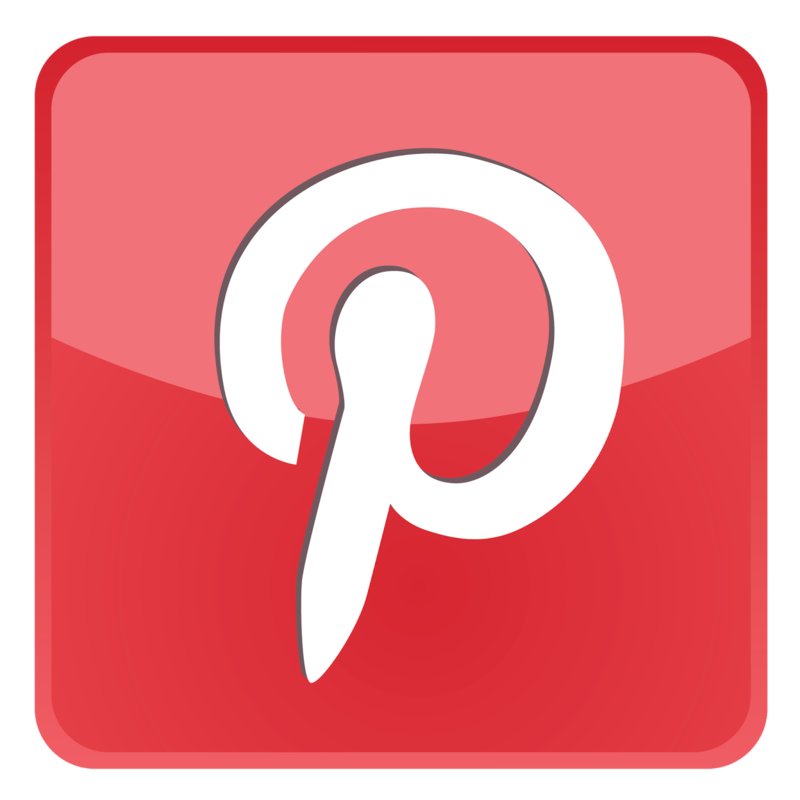 The all-ivory theme can be easily carried throughout the wedding décor. Even working within this limited color palette, there are many different reception flavors that you can create. The combination of flowers, linens, and other accents that you choose can make your wedding look traditional, modern, or anything in between. Whichever way you go, an all-ivory wedding will definitely look elegant. 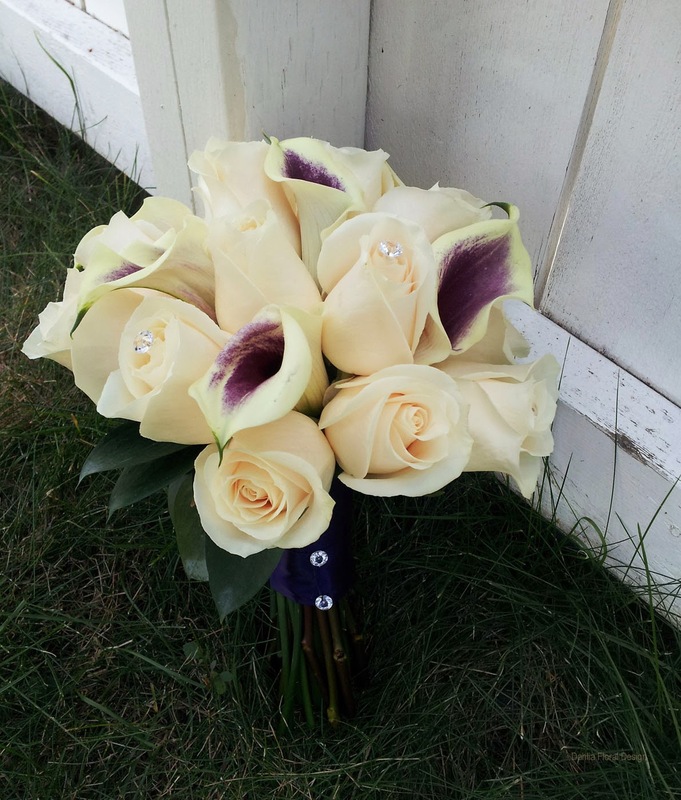 If you are a bride who loves the classics, it will be very easy for you to design an all-ivory wedding. 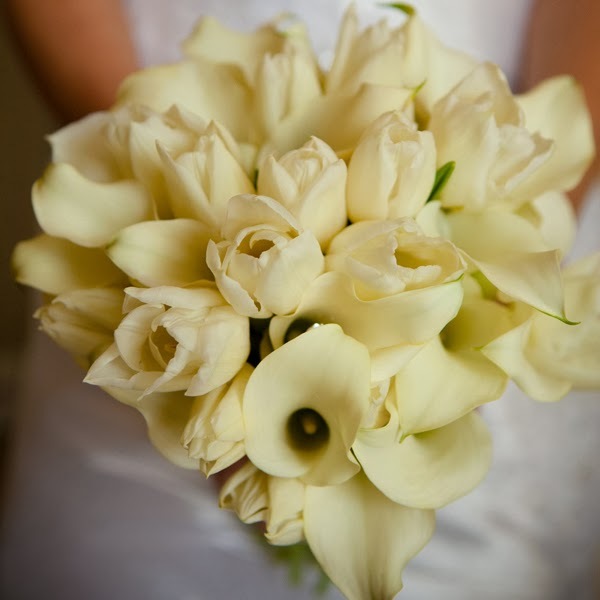 Many beloved wedding flowers, such as roses, tulips, and lilies, will be available to you. When you are working with a monochromatic color scheme, you will want to add interest by using a variety of textures or subtle patterns. 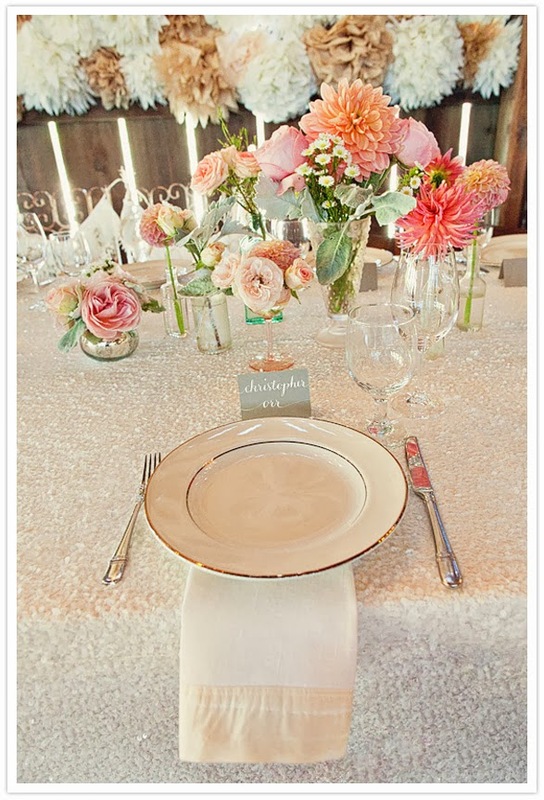 For instance, you could set the tables with ivory linens in a brocade design. This type of detail will go a long way towards elevating your ivory wedding from basic to luxe. There are many ways to use an ivory color palette in a less traditional way, as well. 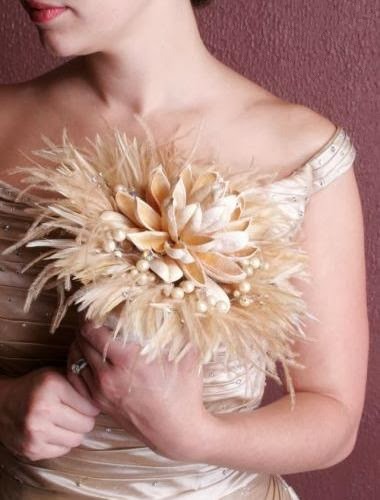 One of the really fun accents that a bride can choose is feathers. Feathers can be used in the most remarkable way, and the classic ivory color will make sure that they read as texture, not as anything too over-the-top. 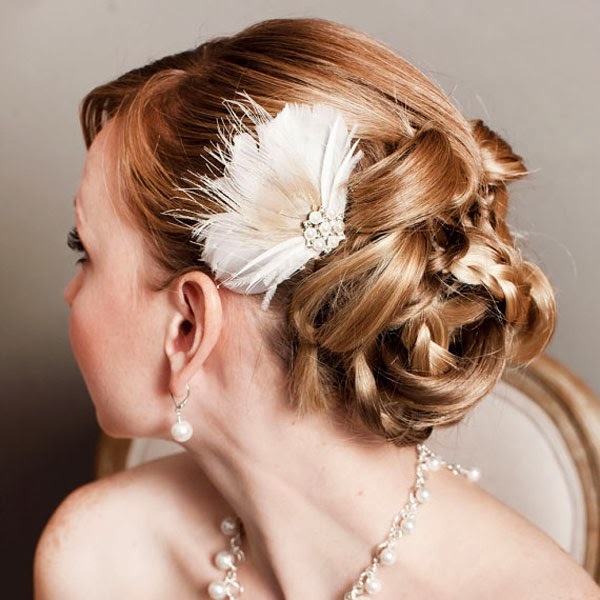 Feathers can be handcrafted into flowers to be worn in the bride's hair (they make a nice contrast to the smooth look of pearl bridal jewelry). An innovative florist can also do amazing things with feathers in the bouquets and centerpieces. They combine very well with flowers like parrot tulips. An all-ivory wedding is one of the most elegant looks that you can choose. It will turn any reception site into a beautiful bridal wonderland. Best of all, the limited color palette will allow all of the attention to be focused on the bride - right where it belongs!